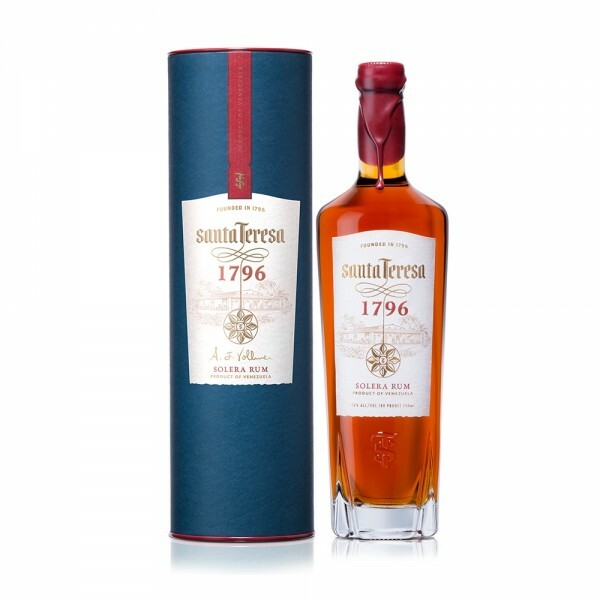 Venezuelan rum house, Santa Teresa was founded in 1796 - a single estate distillery, they’ve long employed a Solera system (a method most commonly used in the production of Sherry) to age their rums. This means that the liquid is aged in separate barrels for varying time frames, oldest at the bottom, and as the distiller takes rum from one cask, they top it up with younger liquid, creating complex profiles. First released to celebrate the distillery’s 200th year in 1996, this ultra-premium rum sips like a super smooth, high-quality whiskey. The rums used in the blend have been aged for 35 years and the blend then spends an additional year aging to marry the blends. The liquid itself is honeyed, rich and smooth - greeting you with toffee brittle and apple notes, followed by warming flavours of vanilla, caramelised fruit, butterscotch and chocolate followed by hints of spice and a long fruity, caramel finish. Definitely best enjoyed solo, to let the flavours of this mouth-watering rum shine.